Mydent International has added Topical Anesthetic Gels to its growing line of DEFEND products. 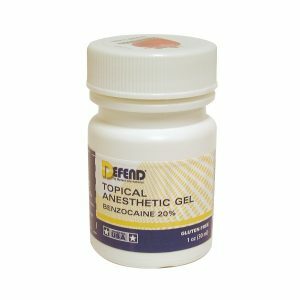 Made in the USA, the 20% Benzocaine Anesthetic Gel is fast acting with no systemic absorption. The gel provides temporary relief of pain during dental procedures and comforts patients with minor mouth irritations. With no bitter after taste, DEFEND Anesthetic Gel is available as 1 oz (30G) in flavors including strawberry, cherry, pina colada, mint, bubble gum, grape, mango, raspberry and banana. This product is available through most major dental distributors.